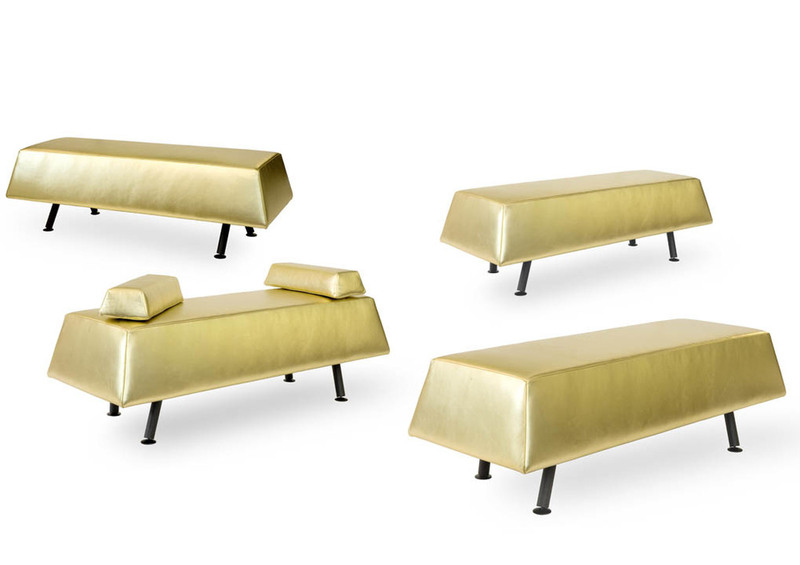 This seating furniture made of gold coated leather was designed as an exclusive interior item for the public space and can be considered as a playful persiflage of the 21st century's materialistic society. 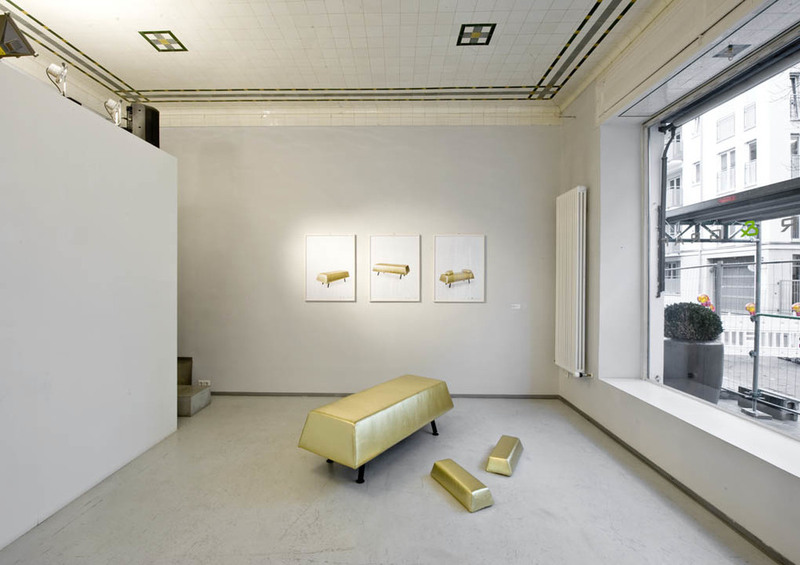 Self–confessed aficionados of gold, Walking Chair created a gold bar scaled up by a factor of 34, which serve as a cozy seating bench. 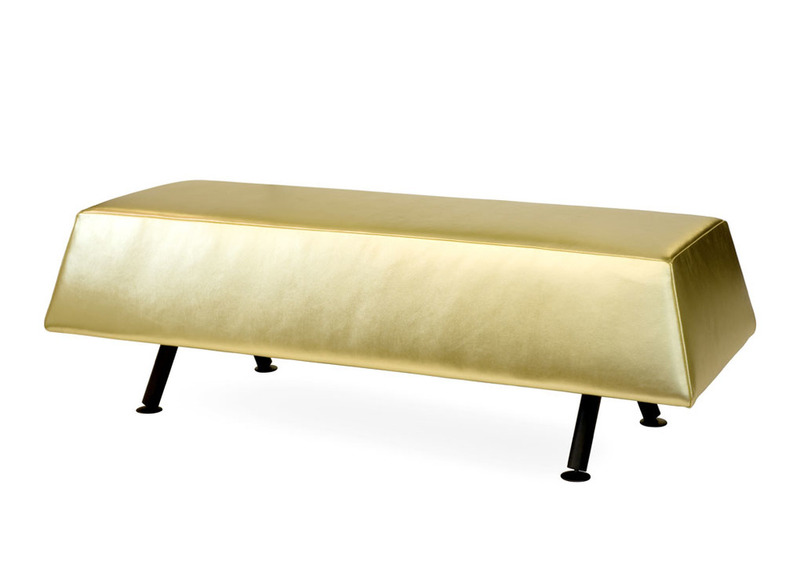 Made from real gold, this piece of furniture would have the weight of more than 4 tons. 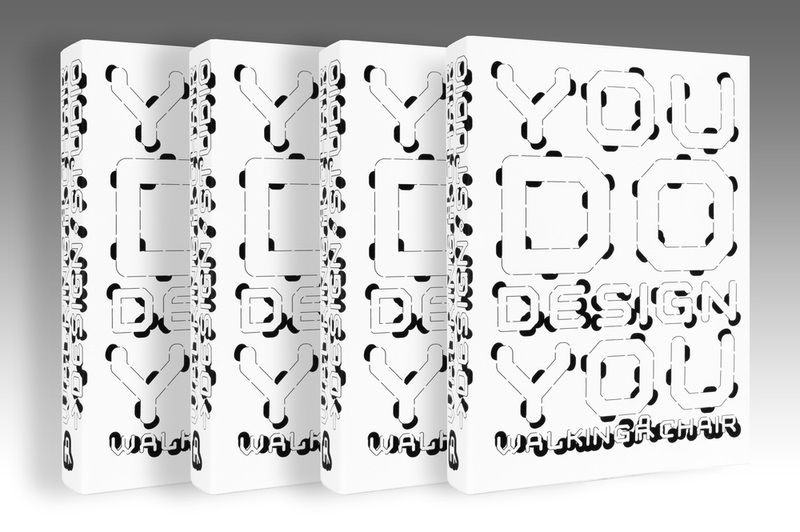 Eine, meine, deine Bank was designed for the Arabic, Chinese and Russian markets as the relation to the warm and shining gold is still quite unprejudiced in these regions.